The more details you can provide about yourself and your requirements, the easier it is for us to be able to find you the right property for you. Your name, address and contact number. Who the rental property is for (how many tenants / family / individual etc). Whether you have children or pets. What type of property you are seeking (how many bedrooms, furnished or unfurnished etc). Your preferred location. Your employment status. When you need to move by and how long you will require the tenancy to last. This basic information will help us to assist you. In the UK, you typically rent a property for a minimum period of six months and most tenancies that we arrange are for twelve months. These are based on an Assured Shorthold Tenancy agreement (AST) and deposits are protected in a tenancy deposit scheme. However, we can arrange either shorter lets or renting for a longer period of time. 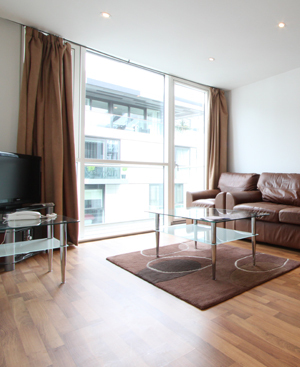 What is the difference between a furnished and unfurnished property? Typically a unfurnished property will have carpets, curtains and perhaps white goods. ‘Furnished’ properties vary, from a basic minimum of fixtures and fittings, carpets and curtains, living room furniture and beds. At the other end of the spectrum, a ‘furnished’ property can include everything you expect to find in a home, excluding personal belongings. We will endeavour to arrange viewings at your convenience and will always accompany you on viewings. It may sometimes be possible to make special arrangements by appointment, if your availability is limited, please contact us to see how we can help. Please also bear in mind that some properties may well still have tenants in them and we will need to be sensitive to their situation also. Only once we have satisfactory references we will then draft contracts and release a statement for the balance due prior to move in. Will I need a guarantor and if so why? There may be some instances where, due to your particular circumstances, we would need to ask for someone to act as guarantor for your financial obligations. Typically, guarantors might be parents or relatives, but other UK residents may be able to perform this task providing they can demonstrate the means to cover the obligations over the tenancy period. Of course anyone committing to this role will need to formally sign a declaration to fulfill the role. Where, for example, a young adult newly into first time employment, applies for a tenancy, it may be necessary due to a lack of credit history to seek reassurance from a 3rd party over the certainty to meet the tenant’s financial obligations. In the event that we feel a guarantor is likely to be necessary, we will discuss this with you, your proposed guarantor and the landlord to ensure all parties are happy to proceed in this way. As a member of the DPSDeposit Protection Services) we will take and hold your deposit fully in accordance with the requirements of the deposit regulations, your deposit will typically be equivalent to 6 weeks rent. At the end of the tenancy we will make arrangements for the property to be checked by an Independent Inventory Clerk. We will agree with you and the landlord about making deductions and or arrangements to refund your deposit, taking into account proper care of the property has been taken, its contents and that you do not have any outstanding rent or unpaid bills. If we are unable to reach agreement over the return of your deposit, we will arrange for the matter to be passed over for arbitration in accordance with the terms laid down by the scheme. Once we have completed on all the relevant paperwork with contracts signed by both tenant and landlord, we will agree a moving date with you. Move in funds need to be cleared through our bank before we can hand the property over. Who do I contact during my tenancy? Properties which are ‘Managed’ means that Tafaders will assist and attend to your problems or maintenance issues. Of course outside our office hours we can deal only with emergency situations (such as water leaks etc), but you will be given all the information you need for your property when we hand it over to you. Where a property is not maintained by us, for example, where we are operating on an introduction only basis, we will still provide you with all the details you need for contacting the landlord or his representative as and when necessary. What if I want to extend my tenancy or if I need to leave the property early? Of course when signing a tenancy agreement, you are committing to a legal contract to take the property for the duration of the tenancy. As such you will be responsible for the rent and bills as detailed until the tenancy end date. When the end of your initial tenancy period occurs your tenancy will automatically become a Statutory Periodic Tenancy. This means that it will run for an indefinite period on a month by month basis. You will be required to give your landlord 1 months notice on or before a rent due date and your landlord will be required to give you 2 months notice on or before a rent due date. Notice should always be in writing and e-mails are accepted as notification of the termination of a contract. Under the conditions of all our tenancy agreements at least two months notice is always required by us in writing on a rent day this must be done at the end of any given tenancy period or renewal even if you are running month to month the same conditions apply. It is always best to check with us when you first think of even potentially giving notice to avoid any contractual misunderstandings. Where particular circumstances mean you really do need to leave early then you should talk to us as soon as possible, we may be able to agree with the landlord that the property should be re-marketed and new tenants found. This is entirely at the discretion of each individual landlord. You will however remain responsible for the property and financial commitments, including administration charges incurred by us until such time as the property is re-let or the tenancy reaches a natural end. It is your responsibility to pay for the Utilities. We shall take meter readings and send these to the existing utility companies prior to your arrival and let them know you are moving into the property. However, it is your responsibility to set up an account in your name on arrival at the property. The Utility provider may be changed by you once you have moved in. A independent inventory clerk will take final meter readings at the end of the tenancy. How can I be assured that the property is Gas safe? Every property needs to hold a current Gas Safety Certificate. We check that there is a Certificate for every property we market. Allowing pets at the property is at the Landlord’s discretion and must be agreed before contracts are signed. It is the responsibility of the Landlord for repairs to the property and any contents that were included at the property at the start of the tenancy, usually white goods such as washing machines, ovens and fridges. Any breakages or damage that is the fault of yourself will need to be paid for by you. Please report any breakages or damage to the property as soon as possible. Can another person live with me at the property? No. All persons at the property need to be named on the Assured Shorthold Agreement (AST). Failure to do so puts you, as the tenant, in breach of contract.